Popular online poker room Sun Poker has released details of two cash races that will be held throughout September. Each race will have a guaranteed prize pool of $5,000 with the winner of each race receiving $2,000 directly into their player account. Race promotions operate in such a way that players earn points for every real cash game they play on a particular poker site, and at the end of the designated race period, those players occupying the top ten places will each receive a cash prize. To add further interest, players are able to track their own progress on a special leader board which is updated on a daily basis meaning that all players can find out how close they are to picking up a cash prize. The first cash race to be run on Sun Poker will start on 1st September and continue until midnight on 13th September. The second race will begin on 13th September and continue until the end of the month. Due to the fact that both races will essentially overlap, Sun Poker have designated that 13th September will be a “Double Dip Day” meaning that all points earned during that period will count towards both the first and the second race. This adds additional value to all those players taking part in the promotion as it allows them to finish the first race strongly and also give them a good start in the second race. 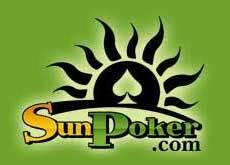 Players who currently don’t have an account with Sun Poker can register with the site for free and take advantage of the Sun Poker bonus worth up to $600. This entry was posted on Wednesday, September 2nd, 2009 at 4:26 am and is filed under Poker News. You can follow any responses to this entry through the RSS 2.0 feed. You can leave a response, or trackback from your own site.